Today we announced two new premium mice, the Logitech Performance Mouse MX and the Logitech Anywhere Mouse MX. Both mice feature Logitech Darkfield Laser Tracking, which allows you to use your mouse virtually anywhere you want — including clear glass (minimum 4 mm thickness) and high-gloss surfaces. Both mice are expected to be available in the U.S. and Europe beginning in August. Product marketing manager Greg Dizac recently recorded a video about Darkfield technology and the new mice. Scroll to Your Happy Place. The New 2017 Doodle Collection is Here. Wow! Good work! That looks a kickass mice! Why don’t you make that pouch for all your products? looks cool! I’m using two of your mice already including the G9 series, and my computer life is weird without them, I think I should buy this one for my brother soon! When will it be available in Middle East? And what would be the price range? We expect the new Darkfield mice to be available in the MIddle East in September. where is the smartshift technology??! It was a difficult decision, whether or not to include SmartShift in the new Performance Mouse MX. While some MX Revolution owners love the technology, feedback we received showed that the majority of people found it confusing or accidentally clicked on it when they didn\’t meat to so it created a negative experience. In the end, we decided to omit this feature on our new mice. However, you can still enjoy both scrolling modes (hyperfast or click-to-click scrolling) at a push of a button located just below the scroll wheel. Thank you for your feedback. Wow!!! Just wow. Congratulations Logitech. is it the newer version of MX Revolution? Is this gaming mouse or just office? Nothing prevents users from using a mouse with Darkfield Laser Tracking for gaming. Discerning gamers, however, may want to choose a gaming mouse specifically designed for that purpose, like the Logitech® G9x Laser Mouse. I’m a bit disappointed by the Performance MX. I assume it doesn’t have Smartshift, probably because of the force-sensitive side-scrolling. I don’t use the application based wheel mode switching, but I do use the scrolling speed based switching a lot, and I’d rather have that than side-scrolling, which I can’t even remember when I used last time. And based on the Revolution’s shape, I don’t think the application switcher button is in a comfortable position, the second wheel on the Revolution is better (and has two extra buttons). I’ve been waiting for the Revolution’s successor, but I think I’ll pass. I’ll be honest, as soon as i’ve got some spare income, i’ll be purchasing the Performance. I dont suppose it’s possible to adjust how the scroll works like on the Revolution VX is it? A more solid feel is much needed for playing some games. The Performance Mouse MX does feature hyper-fast scrolling like the VX Revolution. Bummer, they don’t have the currently MX ergonomic design for the portal mouse! I think I would stick with what I have. The new Performance Mouse MX and Anywhere Mouse MX offer 100 to 1500dpi (with 100dpi increments). Gotta agree with Nx. Really disappointed with the loss of the thumb wheel. I used if functions that can be grouped together in threes, (i.e. Volume Up/Volume Down/Mute) Especially when watching videos on YouTube where volume is never calibrated properly, its key to have that control at my fingertips. Dealbreaker. I love the charge by USB, the Revolutions charging dock was faulty, gathered dust, and took up unecessary space. What is really needed are added buttons on TOP RIGHT side of the mouse. While surfing its natural to have my finger on scroll wheel while my middle finger rest just to the right of the “right button”. I currently use an MX620 where Logitech placed a search button on the top left, forcing my index and middle to extend into a wider V to push this button. Doesn’t feel natural. Just to clarify what Logitech items I have. MX Revolution for home, MX620 for work, diNovo Keyboard for Notebooks. Love there product, but still waiting for a worthy successor to the Revolution. Did you address the issues some users are experiencing with the MX Revolution (Phantom clicks, Massive connection / stuttering problems)? If so, I would be extremely swayed to buy one, since ergonomically the MX was the best mouse I’ve used so far. The Anywhere and Performance Mouse MX both feature our Logitech Advanced 2.4GHz technology as part of the Unifying Wireless technology; this technology addresses the issues that could have been observed with MX Revolution. I think this is a direct reply to the Microsoft BlueTrack Technology, I like them… Performance Mouse MX is now my favourite mouse over Microsoft Explorer Mouse with BlueTrack, it seems more ergonomic. Small suggestion… I think you should also refresh the TrackBall products (also using a Logitech Unifying receiver for the wireless ones). 10-15 years ago I was a big fan of Logitech trackballs (forefinger controlled, NOT the thumb controlled ones) and I’m evaluating a return to the trackball world, as they are less stressful for my weared out wrist 😀 You could also promote some marketing actions in order to resurrect the almost-forgotten trackballs, as I think they are really underrated. No Touch to Search & SmartShift…Really? Why??? Where is the $89.99 replacement for the VX Revolution??? The VX Nano is too small and the Anywhere Mouse MX is even smaller! And the Performance Mouse MX is too big for travel. Please, just copy the VX Revolution and update it to include the Unifying receiver and Darkfield stuff. Some of us also need a true middle mouse button equivilent, so skip the SmartShift, just like the VX Revolution. Call this mouse the VX Anywhere and you’re good to go! You design the most gorgeous and functional mouse! I agree with sopwith’s comment on the VX. I love the mouse! even if the wire to the battery did break and I had to re-solder it together. Logitech® Unifying-Receiver compatibil with older equipment? a Logitech MX3200? Unfortunately older products will not work with the new Logitech Unifying receiver. Please visit http://www.logitech.com/unifying for a complete list of available products that are compatible with the Unifying receiver. Any chance to have a wired MX? Thanks for the comment but we can\’t talk about future product plans. The problem with hyperfast scrolling is that it’s unstable. It’s easy to accidentally move the wheel and cause the thing you are reading on screen to suddenly jump up or down. With smartshift, you can leave the wheel in click-to-click mode, where you can’t accidentally cause it to move, while still enjoying the benefits of hyperfast mode when needed. I think the reason many people didn’t like it is because of the default setup in Setpoint, which causes the mouse to switch on its own when using Internet Explorer or Microsoft Office. This kind of unexpected behavior might lead people to believe that the mouse is faulty. And it’s not very easy to disable it, as you have to edit each profile manually. In addition, the Revolution doesn’t have middle click out of the box. I use the search button for middle click, because the wheel click’s feedback is very bad (you have to press it down harder even after the click, it makes middle-dragging difficult as you have to constantly press really hard). If the wheel click feedback where better, I’d use it as a middle button and wouldn’t even need a button for switching wheel modes, as Smartshift does that automatically. I hope the Performance MX doesn’t have this design flaw btw. I’m really sad to see Smartshift being abandoned. With the application based switching disabled, it doesn’t get in the way, and complements the Microgear wheel nicely. Both these new mice look very good,Wish your new mx performance mouse had the side thumb wheel as that was a very enjoyable feature on the mx revolution mouse.Other than that everything looks very promising on the new mx mouse.Nice going on the charging setup and also on the nano micro unifying receiver.Wish my old mx revolution had a nano micro receiver as my other one broke off so this is a feature i will like that feature very much.Only question i have is when can i expect to see this for sale in my local bb store and other electronic stores? The Logitech Performance Mouse MX and Logitech Anywhere Mouse MX are available for purchase at Logitech.com and Amazon.com now. They are expected to be hitting retail stores in September. I noticed that nothing was published about the Performance MX battery performance. This has been a traditional Achilles hill of Logitech mice that was first fixed with the MX 1100 (which I personally use with great pleasure, hence my interest in the Performance MX… yes, my office table is made of glass and getting rid of the pad will be great). However, I have my suspicions that Darkfield Technology might result in poor battery performance (most light is not reflected by the glass, right?). I would appreciate an official comment from Logitech. i am interested in battery life too. i never used a wireless mouse before as desktop mouse but i own a v500 and a vx nano for my laptop. i called the support hotline but their support documents did not state any facts about battery. is it changeable like AA ? how many hours / days /weeks? will it last. i dpi switching possible in the mac logitech software ? are there any plans on updating the mac software to the level the windows version is today. cause the mac version feels like beta version or alpha and is only updated twice a year perhaps. i own many logitech products but this is realy annoying me. Thank you for your inquiry regarding battery life on our new mice. For the Logitech Performance Mouse MX, users can get up to 30 days of battery life at full charge, with normal use behavior and the Performance Mouse MX can be recharged in about 4 hours. The Logitech Anywhere Mouse MX offers up to 4 months (user experience may vary) with 2 AA batteries, half that with 1 AA battery. After playing around with a new Advanced MX for the last few days, I’m going back to my MX Revolution. The side-button ergonomics are terrible. The forward and back buttons are too high, and the switch button at the bottom is too easy to hit accidentally, especially during gaming. Give us back the thumbwheel! The zoom button is likewise in a terrible spot. I find that I have had to disable the zoom, to make sure I don’t accidentally hit it when I’m using the top thumb buttons in gaming. The mouse is too short. I have small hands, but I love the way the MX Revolution fills the hand. By far the best ergonomics in a mouse today. The Advanced MX shape is just that much less comfortable, because the wrist support isn’t there. So, I thought I had found the perfect gaming/work mouse with the Advanced MX. Not so much. And I’m not going to buy a G9. I tried it and it went back in a day. The ergonomics on that mouse are terrible. Why switch, when you have perfect ergonomics in your Revolution MX? My perfect mouse: The Revolution MX with a gaming-grade sensor. Plenty of buttons, smartshift freewheel, and the sensor from the G9 would address the current shortcomings (that I grin and bear) with the MX Revolution. Make it possible to map on-the-fly DPI switching to the thumbwheel, and everything would be golden. Please, Logitech, stop making change for change’s sake! You had it 95% right with the MX Revolution, and you screwed it up. Now I’m off to Fry’s to return this new mouse. Looking at the front-on pic above it appears that Logitech have made another non-ergonomic mouse. The human wrist is not meant to sit parallel to the table/desk surface, but rather at an angle of ~30-45 degrees, so why do you keep designing mice with a horizontal top surface?. Does the Performancce Mouse MX have a recharging station ? It would be quite inconvenient to plug this tiny USB cable at the end of every day. We did not include a recharging station with the Logitech Performance Mouse MX. However, you will not need to recharge the mouse daily. In fact, the Logitech Performance Mouse MX can get up to 30 days of battery life on a full charge and can be recharged in about 4 hours. In addition, when the mini-USB cable in plugged into the Performance Mouse MX to recharge, you can still use the mouse for all of your activities. Looks good. I would consider upgrading from my MX Revolution to this (because I have a glass desk and would love to kick the mouse pad), but here’s the killer question….rechargeable or not? I’ve been using it for 2yrs+ and still is perfect except for the extra large receiver..
I’ve read all the comments and I’m still not 100% sure about Logitech Performance Mouse MX being the replacement for the MX Revolution. Is it the new flagship Logitech mouse? Can you please confirm that? The Logitech Performance Mouse MX and the Logitech MX Revolution will coexist in the market to address the varying needs of consumers. Then which mouse is being positioned higher in the product line? So there is no charging station. Are there contacts for a charging station on the bottom of the mouse so I can use it with the charging station of the MX revolution for example ? You say the battery lasts for “up to 30 days” but I use up the battery of a MX revolution on one day so I don’t think it would last 30 days in my case. Other than that, I got other devices using those tiny USB connectors and I always consider everything in this size of a connector an emergency solution rather than “quick plug and play”. Every logitech mouse I ever owned has had a charging station so I don’t understand why logitech chose this unergonomic way of handling things on a 2009 device. Wow, looks like a great technology, and the unifying receiver is like 2 new technologies in one. When will it be coming to Canada? We expect that these new mice will be available in Canada in October. Did I read correctly in a review that the Anywhere Mouse MX uses the mouse wheel middle click to toggle between free scroll and click scroll like the VX Nano? On my laptop I do lots of web browsing (middle click links/close tabs) and gaming (middle click to use/open doors). When I owned the VX Nano it would drive me crazy. Free scroll was too sensitive to allow me to middle click a link without scrolling off the link so I would have to toggle the mode after every link. Nevermind how I had to toggle it back and forth in game to allow for proper weapon selection. I have the V450 Nano and love it however I was really hoping for something like it with thumb buttons. The Logitech Anywhere Mouse MX does use the wheel middle click to toggle between free scroll and click scroll like the VX Nano. HackNeyed, you make the same point as me. I dont actually use the rapid scroll, when it’s click scroll at least you can click things. Click scroll is also the only way you can game. the VX revolution was perfect. I’m under the impression these two mice wont have click scrolling. I’ve seen no mention as of yet. A new concept in PC navigation, this revolutionary alloy scroll wheel operates in two distinct modes: Free-spin Mode for hyper-fast, nearly frictionless scrolling, or Click-to-click Mode for detailed navigation using an ultra-precise ratchet-scrolling mechanism. Fly through hundreds of pages — or move line-by-line — with more precision than ever before. Bummer. They look perfect otherwise, but i’ll not be using free-spin mode. Both the Logitech Performance Mouse MX and the Anywhere Mouse MX feature click-to-click scrolling as well as the free spin mode. I like to have a big mouse so my hand can rest on it. How big is the Performance MX? Width? Length? How is the size of the MX Revolution or the G9x compared to the Performance MX? The mice are similar in size. 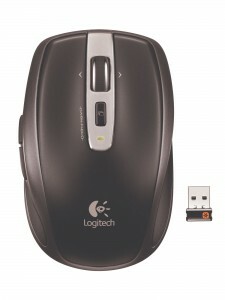 The Logitech Performance Mouse MX is 128.3mm x 83.4mm x 47.0mm (L x W x H). As a comparison, the G9x is 130 x 76 x 44mm (L x W x H). HI Erik, are the dimensions of Anywhere MX similar to VX NaNO? any comments on why the battery life is only 4 months (and that’s using 2 AA batteries). Thanks! The Logitech Anywhere Mouse MX dimensions are 90.5 x 63.0 x 34.5 millimeters (L x W x H) which is comparable to the VX Nano. In addition, when the mini-USB cable in plugged into the Performance Mouse MX to recharge, you can still use the mouse for all of your activities. If only you had made it operate as a wired mouse when plugged in, then it would be perfect for gaming, with the increased response time, going back to wifi when the cable was removed. Like others I will miss the smart scrolling, and Never use Side scrolling. Battery life looks much better than the Revolution, (3d for me) But what about a magnetic cable attachment? Will wait for an in depth review, but am going to stick with my MXRevolution, working with glass and the smaller adapter will not tempt me to replace such a good mouse. 1) What are the response times for both mice in milliseconds? 2) How is changing between 100-1500dpi done? I understand on other mice there are 2 dpi up/down buttons with LED indicator (can adjust dpi on-the-fly WITHOUT DRIVERS installed on someone else’s computer), but i don’t see those buttons in the above pictures. 3) I like that the performance mx is rechargeable without a docking station and can be used while recharging as a WIRED mouse, but I still prefer swapping AA batteries than continuously recharging lithium ion batteries because: a) total wireless freedom, b) longer battery life, c) I’m always concerned of the shortening lifespan of lithium ion batteries after a few years of use and a replacement can’t be bought off supermarket shelves. My question is, does the performance MX use a lithium ion battery, or does it use 2 AA batteries (in which if they are Ni-Mh or Ni-Cd they can be recharged via USB)? * I hope it accepts and can recharge 2 AA batteries because that also makes it a portable battery charger! Well the SmartShift is really software issue or is it not? I do have MX Revolution and this mouse has almost everything I’d love to implement into MX Revolution. Is the wheel the same as in MX Revolution? Because according feedback on forum I did understand many people had problem with it since in a certain time of using the middle gum part get pulled and the wheel is no longer scrolling easily. The SmartShift I thing might help to not solve but extend problem-free functionality. Do you know about this issue? Anyway this seems to be great mouse and I am looking forward to try it. Once more time well done! I just purchased this mouse last night after 8 years of using an older Logitech mouse. I like it, but the hand position will take some getting used to. One problem I do have with it is that it seems like it goes to sleep at random times. I move the mouse around and the cursor on screen doesn’t move. After a few seconds it starts working again. I’m heading back to exchange for another one. Hopefully it works better. My MX Revolution is starting to show it’s age…. time for an upgrade. When will the Performance MX be available in Canada? I’ve heard end of august. Is that right? Keep an eye out – the new mice should be available in Canada in September. Are there plans to provide these mice (or mice with similar darkfield or hyperscrolling tech) in colours other than charcoal with bits of silver (white would be a great start)? At this time, we only have black versions of these mice. But thank you for your comment and we will keep it in mind. Does the performance MX use replacable rechargable batteries or an integrated battery like the MX1000? Thanks! The Performance Mouse MX uses an integrated battery. Uh! Very much it would be desirable to test this mouse. When it officially will appear on sale in Russia? There seems to be a manufacturing or design flaw with the performance mouse. The micro usb cable provided does not easily fit into the socket on the mouse. You have to force the cable into the mouse, which, in my case, has destroyed the pins in the socket. After less than a week, the brand new Performance Mouse MX will not charge. I have returned it to Amazon and am waiting for a replacement. What is the polling rate of the Performance MX? The Performance Mouse MX has a polling rate of 125 reports per second. Follow-up to my battery-question a few posts back: Just curious – what is the area on the bottom of the mouse that at least looks like a battery compartment, as can be seen in the pictures at the (p)review at Gizmondo? Thanks! Sorry for the confusion. To clarify, the Performance Mouse MX uses one rechargeable AA battery (which comes in the package). If you so choose, you can use a normal alkaline battery and replace it when the battery life is spent. However, we suggest using the supplied rechargeable battery and the micro-USB system that comes with the mouse. Is it possible to remove the internal battery in the Performance Mouse and place it into a standard recharger? I’m concerned about the frailty of the usb cable connector. Yes, as long as the charger is a charger for NiMH batteries. One question, what’s the DPI for both mouse? Also for the Performance Mouse MX, is the design similar to the MX Revolution or MX 1100? They both offer 100 to 1500dpi (with 100dpi increments). In terms of the design, we took the design appeal from Revolution and the comfort of MX1100. I’m not exactly sure is there an on/off button and that should increase battery life. right? also is there a document switch and search button on this mouse? Can you store the receiver in the mouse? also which types of surfaces does dark-field work on (e.g. carpet, glass, wood, etc.)? what is the dpi of the sensor, i know you talked about the performance MX but what about the anywhere mouse MX? Finally, how comfortable and textured and shaped is the anywhere mouse for a four inch wide by five inch long hand. – There is an on/off slider to help increase battery life. – Yes, there is a application-switching button below the scroll wheel. – You can store the receiver in the mouse. – It works on a wide range of surfaces, including carpet, glass and wood. – The dpi is customizable up to 1500 dpi. – For comfort, it\’s pretty personal, so I recommend that you go to Best Buy and put your hand on the mouse to determine the level of comfort for you. My MX5000 BT mouse just passed away – battery issues. When will the Performance MX be available in the UK? Thanks! The Logitech Performance Mouse MX is available now in the UK. Any size comparison between the Logitech Anywhere mouse MX and the VX Revolution / VX Nano. It looks a lot like the VX Nano but the 2 x AA batteries seem to indicate that its’ size is closer to that of the VX Revolution. Best if a photo with all 3 side by side would be good. The Logitech Anywhere Mouse MX is very similar in size to the VX Nano. I hope that helps! If plugged into a USB port to charge the mouse, does the Unifying receiver have to be in another USB port too or can the mouse communicate over the USB cable like a normal corded mouse when being charged? Thanks! When the mouse is charging via the USB cable, you don\’t need to have the Unifying receiver plugged in (the cable connects the mouse to the computer). how does the scroll on the Anywhere behave? is it like the vx nano? or is it the active changing like the mx revolution. Also when and where can we expect to see both products in Australia? The scroll wheel behaves like the one in the VX Nano (click to change scroll modes). I’ll need to get back to you regarding your second question. Hi Arthur — Following up, the mice should be available in Australia in late October. Cant you just finally release a decent successor to Revolution? Same as it is, just bigger, more ergonomic, darkfield, unifying, better battery life and thumb application switcher. It was a difficult decision, whether or not to include SmartShift in the new Performance Mouse MX. While some MX Revolution owners love the technology, feedback we received showed that the majority of people found it confusing or accidentally clicked on it when they didn’t meat to so it created a negative experience. In the end, we decided to omit this feature on our new mice. However, you can still enjoy both scrolling modes (hyperfast or click-to-click scrolling) at a push of a button located just below the scroll wheel. Thank you for your feedback. Is it possible to modify DPI on the fly with MX performance? When will this mouse be available in SE Asia and will there be a package with the wireless K350 keyboard? With SetPoint installed, you can set any of the mouse buttons to toggle between two dpi settings of your choosing. Your battery display will provide visual confirmation each time you toggle. In terms of availability in SE Asia, it should be available beginning in October. Unfortunately, I can\’t comment on the rest of your questions. I’m confused. Does the Anywhere Mouse MX have a middle mouse button? Does the scroll wheel pan left and right? * Well, the darkfield stuff…that sounds very useful. When you push down on the scroll wheel, it toggles between traditional scroll mode and hyper-fast scrolling. We\’ve included a button below the wheel for application switching, although it can be programmed to your liking. And yes, the scroll wheel pans left and right. Thanks for the rest of the feedback! I think this mouse meets all your needs. Please bring back the Smartshift. I just bought the Anywhere MX, and now I have to return it because I just found out that I can’t have middle click unless I reprogram the Application Switcher button. Very disappointing. First, If I stop moving my mouse for 10 seconds, my mouse stops functioning! then I should shake the mouse for 2-3 seconds to wake it up! This happens quit frequently. Is this how this mouse suppose to behave or my mouse is a faulty one? I have also found another comment here in this column by Marvyn | August 28th, 2009 at 9:56 am complaining from the same problem. And secondly my mouse battery which was full when I received it is now almost empty after 3 days! (And I switch the mouse off during the nights). But I red in above comments that the battery life is expected to be 30 days! The battery indicator light also goes on and off every 13 Seconds. Are these properties normal for this mouse? I have connected the mouse to a Macbook Pro (Mac OS X 10.5) and its receiver is just few centimeters away from mouse. I would be grateful if somebody can me some information. It sounds like you have a faulty mouse — that is not the way it should be performing. Please contact customer support (www.logitech.com/support) via email or phone. Any idea as to when these’ll be available in the UK? I’m running with a mighty mouse at the moment and hate it. I’m getting very tempted to get one imported from the states. Also, with these new mice, is a Snow Leopard compatible version of LCC included? Both mice are available now in the U.K. (try http://www.logitech.com or http://www.amazon.co.uk). We expect to have a Snow Leopard-compatible version of LCC available via download by the end of September. From your reply to a previous question by Dawson, do I understand correctly that the MX Performance has a maximum of 1500 dpi? Isnt that too less for a supposedly top-end Gaming grade mouse? The latest Razer Mamba ships with 5600 dpi , while MS X8 is 4000. This one has 1500????? Is there some mistake here in specs? Yes, the Performance Mouse MX has adjustable dpi of up to 1500. While the mouse can be used for gaming purposes, it is not designed as a gaming mouse. For serious gamers, we recommend our mice that are designed for that specific use, like the G9x or the new G500. These mice have a much larger range of dpi adjustability. The G9x is adjustable between 200-5000 dpi, while the G500 has a range between 200 and 5700. I know others have said it, but I have to add to the voices – why no smartshift? I deal with spreadsheets all day long and with my MX Revolution I can do line-by-line or just spin it fast and scroll through 30K lines. Then when I switch over the web it automatically goes to smooth scrolling, what is not to like about that? While the new charging system is brilliant, buying a mouse without smartshift would be like buying a car without air conditioning (I live in Texas). I guess I need to go buy a couple of MX Revolutions while I still can. Can you give an updated estimate on when these mice will be available in Europe, esp. Germany. Even the Logitech shop still lists them as unavailable. Thank you! It should be available in Germany in October. I’m looking forward to the unifying receiver more than anything. This is a godsend for laptops where I might have a portable mouse for travel and a full size mouse at my desk. Is the size of the performance mouse closer to the MX Revolution, or MX1100? I like the extra height on the MX1100 and it feels perfect to me, the Revolution feels too small. Looking at the previous post it appears taller than the revolution, but I can’t find any size specs on the 1100 to compare. Why doesn’t Logitech show size specs on their mice? Smartshift was the only thing that makes the scrollwheel usable! Just another in the chorus of people hoping you’ll bring it back! I think you need to do your market research again and ask the right questions, because the click-to-change-modes thing is not actually usable in the real world, and the big draw of the Revolution was a scrollwheel that has two modes. It’s of those UI problems where giving people the option to change manually seems ok, but figuring out what they want (eg which mode) without them having to tell you is infinitely better. Freaking awesome mouse! Just got mine and I have to say that I thought my previous MX1100 was just about perfect but never liked the style. The MX Revolution is a little nicer looking but too small, has a weird thumb area, and I wasn’t crazy about the whole dock/recharge thing. This one is beautiful, has the much nicer nano receiver, seems to track and mover better, and feels even better in the hand than the MX1100. It is absolutely the nicest looking, nicest feeling, most ergonomic, smoothest tracking mouse I have ever used. Just wondering whether the unifying technology is fully compatible with Wireless USB – I do not see the logo on the box. Unifying Wireless Technology is a proprietary technology optimized for mouse and keyboard usages and is not compatible with Wireless USB. Why didn’t you include Bluetooth, wouldn’t that have been easier that developing a 0,4cm usb-receiver? I don’t understand why there are so few mice to choose from, when it comes to Bluetooth, and why none of them are very ergonomic? How well does the software work with Mac OS X Snow Leopard? There are a number of benefits of Unifiying over Bluetooth, including a strong connection, minimized latency and dropouts and better battery life. In terms of Snow Leopard, we’ve just released LCC drivers for Snow Leopard. You can download them here. I returned my mouse for the problem I described above, I ordered a new one believing that the pervious one was a faulty one. I received a new one yesterday. unfortunately the second mouse still has the same problem. This is not a hardware / software issue because I have tried the mouse in my office with Desktop PC (Windows XP) and in home with Macbook pro (MAC OS X 10.5) and in both places I have the same problem. The only thing I can think about is the interference with wireless network which I have it both at home and office. This problem has started with new 2.4 GHz receiver. So apparently the mouse is not alone in this new frequency range. As I said the battery light indicator of my mouse turns on and off every 10-15 seconds. I think this is because mouse interferes with network, gives an internal error and restarts every 15 second. this should also explain that why the mouse becomes irresponsive if I do not touch it for 10 seconds. that’s the time enough for giving the error. Also it explains why the battery life time is lower than expected, because mouse is restarting all the time. Even though the mouse is a great one but I will return the mouse and go for another brand. Interference with wireless network is a serious flaw for such a mouse. Is there any chance to see some size comparison pictures between the vx nano and anywhere mouse mx? Hi, I got this mouse (upgrade from MX Revolution) and I love it. It’s everything I liked in the revolution + fixing the couple things that I thought could be better. I’ve been searching but I can’t find it written out anywhere. The LEDs on the Performance Mouse MX aren’t lit most of the time in order to give you the long battery life. When the battery life gets very low the lowest LED should slowly blink red for two minutes each time the mouse is either turned on or moved after a long period of non-use. If your mouse shows neither green nor red LEDs after you’ve turned the mouse switch off and on, then please recharge the mouse completely. Should you then not experience the normal pattern of 3, 2 and 1 green LEDs followed by the blinking red LED, please contact a customer care representative. Im a designer on PC, want to invest in a good mouse, from all blog post I dont know wheter to get the “MX Rev” or “MX Per”…. Could help me decide please? I’m afraid you’re going to have to make that call yourself. However, if you find yourself using your mouse on multiple surfaces, including glass desks, the Performance Mouse MX is your best bet. hi, ive noticed up above around the end of August, Erik mentioned that the Performance mx would be coming to canada in Oct, then a few days later mentioned that it would arrive perhaps in Sept. Since Sept has come and is almost gone, is there any update as to when we should receive it in our country? Both mice will be available in Canada as of October 19 at Best Buy and Staples Canada. Is the 125 polling rate capped by the mouse? i.e. will it overclock? I’ve struggled to aim at small icons with the 125 rate in the past – I use my MX1000 in PS2 because of it. This mouse looks like a really nice upgrade from an MX1000, but I was hoping for a polling rate of 250 or 500. The Unifying network runs at a maximum of 125 Hz, which is what the Performance Mouse MX uses. It’s not possible to overclock it. Yet another voice crying out in defense of SmartShift. I bought my Revolution and instantly fell in love with the SmartShift feature. What I don’t understand about the explanation given for why it was not included in “future mice” is that if it was an issue of customers accidentally using it or being confused about it, they can just as easily turn it off from the control panel and they wouldn’t have to use it or fear accidentally using it. Instead it’s been taken away from those who truly appreciate such a wonderful feature. I’m afraid it’ll be highly unlikely I buy another Logitech mouse until this feature is returned. Shame, really. do you have planned a release date for the stores in italy for the performance mx? The Performance MX should reach stores in Italy in October. After having problems with both Performance MX mouses that I described before (see above) I returned the second mouse and ordered the third one. Fortunately this time the mouse works perfectly. So by accident both the mouses I have received before was faulty. All together it’s great mouse, But I think Logitech should take more attention to product quality control test before sending them to the market. receiving two faulty mouse in sequence can be a mere incident but anyhow this is not a good sign. And hereby I also would like to thank logitech’s support center in Netherlands for their helps. Thanks for the continuous update. What’s the planned release date for Saudi Arabia? Where is the one-touch search button on the Permance MX? On my unit, what used to be the one-touch search button is now seemingly use. If this does not have the one-touch search, back it goes. also is there a document switch and search button on this mouse? The user’s question about search function was not answered by you – why? It goes back to the store. Darn shame they discontinued the MX Revolution; best mouse ever made. I’ll buy the keyboard/mouse combo for the MX. Thanks for the questions. With software installed, you can assign the search function to a mouse button (there are four buttons in the thumb scoop area alone, including one hidden one). The document switch button is located below the scroll wheel (toward the wrist). For more information, see this page. I am considering upgrading to this mouse, as I have 2 Revolution MX mice that I really like for work. However, I have gotten tracking issues (stuttering/stopping, etc) when gaming. How does this mouse compare to the G9x? Have the tracking issues been fixed with this version? I would like to add another voice to the building cry to bring back Smartshift. I have been using an MX Revolution for almost 3 years now. It recently developed a mechanical problem still under warranty (barely) and I am sending it back. The technician told me he will be sending me a new Performance MX to replace the Revolution. While I am happy to get the upgrade, I will dearly miss the Smartshift feature. I used it constantly and have come to rely on it. Since it can be turned off with Setpoint, I don’t see why anyone would find it confusing or accidently activate it once they have the software set up. I am a happy Logitech customer and have purchased many of your flagship products. Please reconsider bringing back Smartshift. Add me to the “Smartshift” users disappointed with a new mouse. I just bought the Anywhere Mouse. I assumed it was going to have that same awesome technology of my MX Revolution that I’ve been using when I connect the laptop to the docking station. It took me a while to realize that I had to click the wheel to switch to free spin. I haven’t had a chance to try docking and see if the new Setpoint will still allow smartshift on my MX Revolution. I’m going to be *pissed* if I’ve lost that functionality by upgrading the Setpoint software. That feature was my favorite part of the MX Revolution. It’s not just enough to have to click the wheel to switch. And since that was an optional setting in older Setpoint software, I don’t understand why you had to make this a mechanical part of the mouse and take away that capability. I wonder if it is possible to set the standard dpi to 1500, without having a permanent button “mouse sensitivity”? For office use I would prefer to work with a high dpi setting, without loosing a function button of my mouse. As soon as I change the buttons back, it resets the dpi to 1000. does anyone know a solution for this? Another vote to bring back smartshift. I realize this isn’t the place to advocate for change but might as well jump on the bandwagon. I love smartshift and like all the other people have said it was easily turned off in the control panel. Even if it was such a big deal a physical button on the mouse could turn it on or off just to make it more obvious. I love the new products from logitech but unless there’s a Revolution 2, i’ll probably sit on my current Revolution for a bit longer. Also is there plans for a VX Revolution size “anywhere” mouse? The current small mouse seems a little on the small side, vx nano, for my taste. what does the button under the scroll do? If you’re referring to the hard button behind the wheel, in the Anywhere Mouse MX, it is preprogrammed to whatever the program or OS assigns to it automatically, similar to the way the thumb buttons are automatically assigned to back and front in most PC apps. This button is probably used the most nowadays for application switching, but can be reassigned using software. In the Performance Mouse MX – this button allows you to switch between hyperfast and click-to-click scrolling. Just another vote for a Revolution 2 with Smartshift! Without that it is just another mouse like all others – looks nice and Darkfield may be useful but the wheel from the Revo is became essential for me so i think thanks but no thanks. From the Time the Revo came out i wait for Logitech to fix the issues of this model but removing the only argument might not be the right decision. What market research was done that suggested that more people DISliked SmartShift than liked it? I see lots of comments in support of it above, and none against it. I’m with them. I’ve had an MX Revolution since Jan 2007, and SmartShift is the best thing about it! Unfortunately, for years, I’ve found Logitech’s reliability to be lacking, and my mouse is failing, three months shy of its warranty expiration (my Trackman Marble lasted forever, and as far as I know is still in use by the friend I sold it to, but other than that, almost everything I’ve owned from Logitech has needed to be replaced under warranty — four or five mice, two or three keyboards, and one Harmony remote, though in fairness, the Harmony had one button that was DOA, and didn’t die through use. Those that didn’t fail under warranty failed shortly out of warranty). As has always been the case, Logitech’s customer support is excellent, and has agreed to replace the mouse. Since the Revolution has been discontinued, I’m getting a Performance MX. At first, I was excited to see that they’re sending me an upgraded version, but now I’m starting to question whether it’s really an upgrade. The new mouse is taller (I find that this oversized mouse occasionally causes thumb joint pain) and lacks the most, excuse the pun, revolutionary feature that was introduced with my current mouse. Long story short, here’s another vote for the return of SmartShift… and a plea to work on improving your MTBF. I know I spend entirely too much time on my computer, but stuff shouldn’t consistently fail within a few years even with heavy use. I keep buying because I frequently find that I prefer Logitech’s products (features/design), despite the poor reliability. Does this mouse work well with Linux (specifically, Ubuntu)? What, if any, features are not available in Linux? Linux is not fully supported by the Performance Mouse MX and Anywhere Mouse MX . You will not be able to take advantage of Unifying technology (being able to connect multiple devices to a single receiver) and software features like zoom, application switching and button customization. However, you should still get basic features like point, click and scroll. I just picked up the Anywhere MX and it’s amazing. I have a glass table and I hate using mouse pads cause they get dirty, trap dust, hair, skin — This is perfect!! Works great with my macbook pro. I went to Futureshop and bestbuy today because Erik said it would be out on the 19th in Canada. They don’t even carry this! WOW. Waste of time and what a lie. Owner of the MX1000 mouse and corded Wave keyboard, I’m very interested both in the K350 Wave keyboard and the MX Performance mouse. Do you plan to offer a pack that comprises these two products ? If so, will it include two Unifying USB keys (so you can switch quickly between two computers) ? Yeah I LOVE the smartshift technology. I just bought a Anywhere MX and I’m loving it. However, I am terribly disappointed that it doesn’t have smartshift. Why don’t Logitech do what Apple does? Apple disables the two button operation on their mice by default to avoid confusing users. However, for those who use two buttons, they can enable it. Logitech should have smartshift built into every mouse they have but have it as a default disabled option. Users who love it, like myself, can always re-enabled it. Forgot to add, I WILL NOT be replacing my Revolution MX until smartshift is added to a future mouse. I have had many Logitech devices, all have been good never broken. On the other hand, the last 2 MS mouses I had both failed. Erik, yeah I know what you mean. I love Logitech mice and have a lot of them over the years (Logitech My First Mouse, MX900, MX1000, MX Revolution and now MX Anywhere). I have a couple of MS Mice but they just don’t feel as nice to handle and/or reliable as Logitech. Maybe I should get another MX Revolution as a spare if I see any on clearance sale. I did stray before the Darkfield Logitech mice came out and bought a Razer Mamba as I have cradle charging problems with my MX Revolution (Very glad that Logitech FINALLY dumped the cradle charging. It was problematic with all 3 of my prior mice). The Mamba is not too bad performance wise but I miss the Logitech Hyperscroll. Not to mention, the Mamba developed a squeaking noise when you use the scroll wheel after a while. Terrible quality. About smartshift, the only thing i have to say is: Thank you Logitech for giving me back the middle mouse button. Voting for bringing back the Smartshift, too. I think this technology was the brilliant invention of Logitech, at least as great as invention of optical mouses. I’m using two MX Revs myself and have bought another one as a gift only because of Smartshift. And I’m sure I will not buy any new Logitech mouse until Smartshift is returned. No idea if this post is still being followed, but I’m very sad I didn’t track it down before I bought the MX Performance. It’s going back to Amazon as we speak. The absence of Smart Shift is completely unacceptable for a power user and you’ve broken a very simple rule: don’t take away features from your users. Hide them or turn them off by default, but you’ve physically altered the MX wheel in this device so that I can’t even turn Smart Shift *on*. This is a huge oversight. The single most useful part of the MX Revolution is the free-spin wheel, because of Smart Shift. It has become a feature I use every day and has changed the way I use a mouse. Removing it simply isn’t an option, so I’m purchasing another new MX Revolution (I’m replacing my office mouse) from New Egg. Removing any tactile feedback makes it hard to tell if the side click is even engaged. I’m frustrated because it wasn’t entirely clear to me that Smart Shift had been removed. I understood that there was a button for shifting, but I imagined it was like any other hot-settable button. I didn’t realize it was a physical switch. I’m frustrated because you could have removed this functionality from the default for your users who are “confused” about the functionality, and simply made it a power user option, available to those of us who want to go through the trouble. But instead, you’ve made it an entire second click, which is simply mind-boggling in its uselessness, compared to Smart Shift. Smart’s in the name, and you’ve killed that from this mouse. I’m sad that my new mouse won’t work on glass, nor work while charging. But I’m willing to sacrifice that for the Smart Shift. Take this advice: many people have spoken here that they simply won’t upgrade until they can get a new mouse with Smart Shift. You’ve given us a great feature and then told us that we can’t have it because it confuses the dullards. This insults us and annoys us and we’re just a small, vocal group of people who tracked down the blog post and made a comment. I hope you strongly consider bringing back Smart Shift in future mice, because alienating power users is NOT a winning strategy and I, for one, have meticulously boxed up my mouse and am sending it back to Amazon–AT MY EXPENSE–tomorrow. Oh please please please bring back SmartShift, it was the best feature of the MX Rev. Please, pretty pleaseee !! For the most part the mouse works fine. It’s biggest problem is with the scroll wheel. Side scrolling is difficult because the wheel doesn’t protrude enough from the body. Also, the edges of the wheel are very slippery, which makes side scrolling that much more difficult. And for some reason it doesn’t seem to side scroll in nearly as many programs as my older mice did. With some programs, I can see the scroll bar on the bottom of the page move, but the actual view is the same. another vote for the smartshift feature, I bought my mx revolution at a discount (end of life) and bought the new revision this week at full price. Value-wise this is the other way round, ’cause smartshift was my nr1 favourite feature of the revolution ! In my honest opinion the Performance Mouse MX is a rather big step back compared to the MX Revolution. Charging: It’s great that you included a little pouch for storing the charger and wires, and I’m sure it’s great if you travel a lot. However, I rarely bring my workstation with me on business trips, and having to pull out the charger and/or crawl under my desk to retrieve the USB cable that has fallen to the floor since the last time I charged the mouse is hardly a joy. Smart Shift: While I’m sure some n00bish users found this feature confusing I absolutely love it and have grown very fond to it. The cheap, manual switch on the Performance Mouse just doesn’t compare and I find myself not bothering to switch as it’s just a hassle to switch it on and off as I move between applications. People who found the Smart Shift confusing probably weren’t looking for a mouse as feature rich as the Revolution in the first place. Don’t let house moms decide what’s best for my work. Application switcher: While Document flip in Vista/W7 might not be the most useful feature it’s certainly more polished than Logitech’s own application switcher, AND, the second wheel used for Document flip on the Revolution could be configured to be used for zoom in a number of applications. Something I used quite often. The Performance Mouse MX should’ve been half the price compared to the Revolution. It certainly delivers half the performance. Anyone know of a store who still have the MX Revolution in stock? I’m returning my Performance Mouse. I have to add myself to the list of users who rely on SmartShift. But it’s not the only reason I see the Performance MX as a step back for the MX series. The button that now switches the Performance MX’s wheel behavior is a programmable button on the MX Revolution. And the old thumb wheel, which has three functions all within reach of the thumb, have been replaced by two buttons, further apart, with the top one very close to the two standard thumb buttons. This effectively removes two buttons from the MX, and makes the thumb buttons more difficult to differentiate. I’ve become used to a very specific button setup, and if something happens to my MX Revolution, I’d sooner buy a used one off eBay than buy the newer model. I absolutely love Logitech mice. They’ve always made me happy. But discontinuing the MX Revolution in favor of the Performance MX seems a bit backward to me. I hope to see SmartShift return to the MX line, as well as the Search button and Thumb Wheel, or a suitable 3-buttons alternative. until then, I’m gonna take extra special care of my MX Revolution. It’s the only mouse I feel comfortable using, and I don’t know what I’d do without it. I was forced to hand over my 2y/o MX R to the Mrs so she could use it at work. We replaced it with a Performance Mouse MX. Bring back the smart shift! I’m bitterly disappointed when I got the “upgrade” to the MX revolution and find out the built quality is not as good and the killer feature were taken out. Performance MX for me a step backward for logitech mice. Just saying it’s an upgarde just because of the darkfield tech is not an excuse. BTW I buy mice like I buy shoes. I’ve bought the mighty mouse, magic mouse, sidewinder x6, x8, arc mouse, explorer mouse, G5, G7, kensingtons and lots more. But finally only 3 mice I’ve stick through with till now, VX nano for my MBP, MX revo for my pc and x8 for my gaming pc. I love logitech mice but if this is their idea of going forward, I’m afraid you’ll see me buying discontinued used logitech mice on ebay rather than buying new products. Really like the SmartShift on MX Revolution (I am using it right now). It is more convenient this way than using a button switch. I am looking for a mouse that has SmartShift, wired, and lots controls, basically a wired version of MX Revo that is both suitable for gaming and working. The scroll button can also be wider and make the “click” stronger, because MX Revo’s scroll button is on the heavy side and can accidentally spin (in click mode) when press and release. The G500 gaming mouse almost has it, unfortunately it doesn’t have SmartShift, but imo it’s better than the more expensive G9. I’m finding another reason to sorely miss my MX Revolution – the Performance MX doesn’t turn itself off when inactive. I’m finding that if I go to bed with the mouse at full battery (full enough to display 3 lights), when I turn my computer on after work the next day (~18 hours later), the battery is low or critical. With the MX Revolution, I’d stick it in its cradle every 2-3 days, but with the Performance MX, it seems that I need to plug it in every night. No SmartShift, no cradle, less convenient button positioning (my thumb isn’t that long! ), all for the same price? This is a major downgrade, and a pretty big disappointment. I absolutely love my MX Revolution but wish it had even more buttons. I always hoped Logitech would add more assignable buttons to the Rev’s design but now they discontinue the Revolution and replace it with this crap that has two fewer assignable buttons than the Revolution. Who cares if you can use it on glass — WE WANT MORE BUTTONS! The absence of SmartShift alone is enough for me to skip this. That was the best feature Logitech has ever had… why get rid of it?